Tango is an innovative, cash based, payment method that transforms carrying out money transfers and payments into small, simple life pleasures. 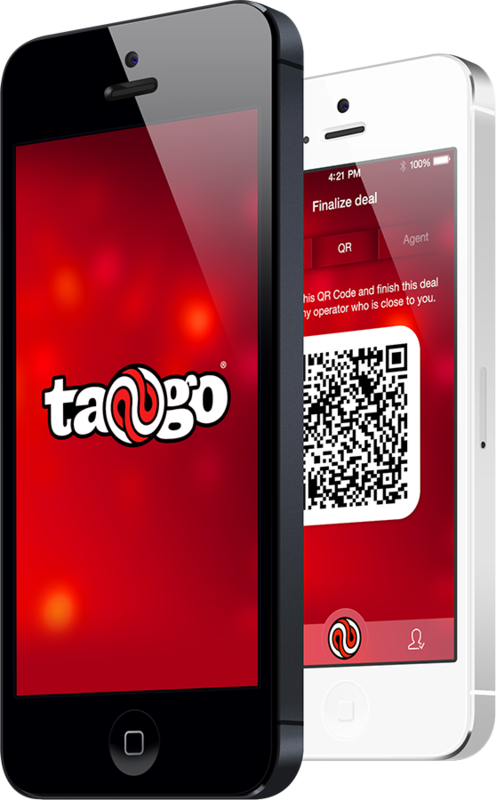 Tango Pay lets you manage your utility bills, police fines, leasing and mortgages. We all have deal with these payments, and while it’s never a pleasure, with Tango we made it simpler, easier, faster and ultimately cheaper. That alone should already put a smile on your face. Tango Transfer lets you send or receive money with the leading money transfer systems of your region, in just a few steps – no long queues, no paper forms to fill, no restrictive working hours and no commissions. You can seamlessly fit it in your every day life while shopping, filling up your car or going out. Since Tango is a cash-based payment method, we do not need any data other than your contact details that we will not share with anyone else. Choose the type of operation to perform. Tango app will show you the nearby Tango partners. You select and confirm the most convenient Tango partner. send you a unique QR code. you will either receive the cash, or pay out. Finally, a receipt confirms the transaction and stores it safely in your account. Safety First. With Tango you can keep your identity undisclosed and transactions safe. Tango Partners will not know any personal details about you: who sends you a transfer, who will receive yours or what was the payment made for. The QR code encrypts all these data, leaving you maximum privacy. Free to Tango. Effortlessly, Tango enables you to make a transfer or a payment operation anywhere and anytime within our network. Our partners will create a diverse network differentiating based on working hours, location, type of activity. It will simply fit in your schedule. Free with Tango. For absolutely no extra cost, Tango helps you save time by avoiding unnecessary travel time along with less convenient locations, the long waiting lines, the paper forms and in the end, all the costs associated with this. Copyright © 2014 Tango mobile. All rights reserved.